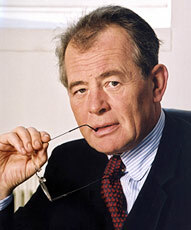 Dr. Heinrich Schuster has essentially influenced the outdoor advertisment market in Austria. He is the manager of EPA company with office in Vienna, which is active through daughter companies in Middle and East Europe. How did you come to the contact with AACC? Dr.Schuster: It was recommended to me by high ranking business friends, who had already experienced AACC and who highly appreciate the activities of the center. Why is AACC of such interest for Austrian companies? Dr.Schuster: First of all, I must mention its excellent know-how about Slovenia and its varied network of contacts, connected with the knowledge of economical, cultural and political specialities-what all results in a comprehensive consulting activity. The knowledge of the Slovenian language and furthermore the translating service, the translation itself, personal know-how and the resulting possibilities of mediating at the proper level , with decision-making people and with access to inside information are also significant. What is your opinion of the AACC prospect in future? Dr.Schuster: To extend its consulting activity for Austrian companies and to transfer know-how in the direction Slovenia-Austria as well as in the direction Austria-Slovenia. AACC presence in Vienna would be significantly usefull.